For locals in Vardø, a football match on TV can have 44 players, if possible at all to watch the choppy images. The radars are highly visible above the town centre, but what’s going on inside the intelligence station on up the rock is highly secret. Since the 1950s, the radars have been on watch. No strange, across the Varanger fjord is Russia’s Kola Peninsula, home to the most important leg of Russia’s nuclear triad - the ballistic missiles submarines. 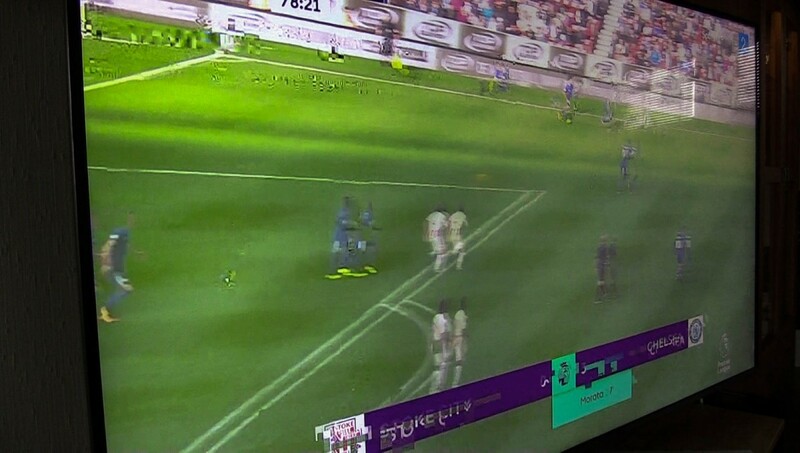 Missiles or not, the Norwegian Broadcasting NRK now reports a problem that for geopolitical players might sound trivial, but for enthusiastic football fans can be a real headache on a Saturday afternoon. Interviewed by NRK, Arnt Edmund Jensen says it started two-three years ago. The images on the screen «started to be real crazy» often on Saturday evenings. «I bought a new parabolic antenna. It was put in place by a competent installer, just like it should be,» Jensen tells. The problem was, however, not solved. The football matched were still very choppy. Often with delays and double players. How irritating isn’t it to watch 44 players running around the court. Some years ago, the municipality got money from the Intelligence Service to install cable-TV to those affected by the disturbing frequency bands from the radars. After NRK published the story about troubled TVs, spokesperson for Norway’s Intelligence Service (NIS), Kim Gulbrandsen, says they have been in dialogue with Vardø municipality about the problem for several years. «The military will in dialogue with the municipality contribute with alternatives to parabolic antennas for those who want,» Gulbrandsen writes in an e-mail. So far, 159 houses in Vardø got cable-TV, but not Arnt Edmund Jensen. Meanwhile, a brand new radar is under construction on the rock above the town. The intelligence service says the new radar will have the same tasks as the existing. The new radar will be in operation by 2020. 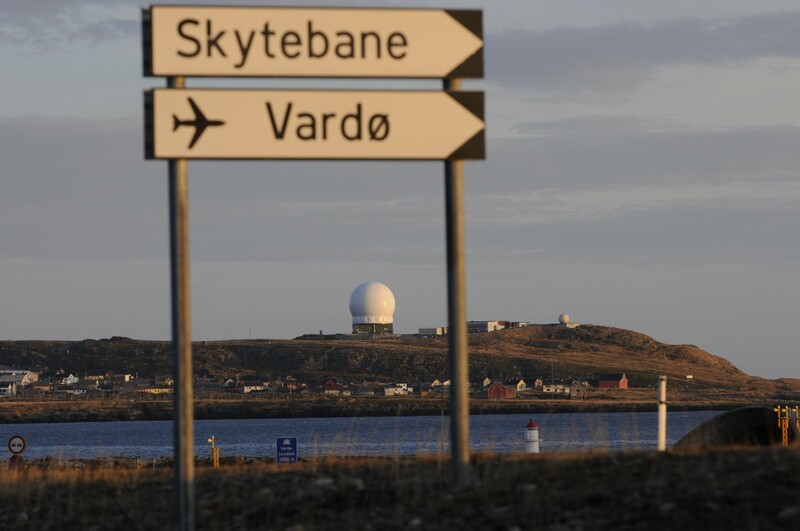 The intelligence service underlines that the Globus-radar system has no health-risks for employees or inhabitants in Vardø. «Recommended limits for radiation exposure will not be exceeded. Also, the frequencies in use will be in accordance with laws and regulations by the Norwegian Communication Authority,» says Morten Haga Lunde, Head of NIS in an article posted at the service’s own portal. With a population of 2,100 people, Vardø is Norway’s north-easternmost town, located on a small island just off the coast of Finnmark. On a day with clear skies, it is possible to see across the fjord to Russia’s Fisherman Peninsula, the northernmost tip of the Kola Peninsula. A few kilometers further east, the Northern Fleet has its submarine bases and several storages for nuclear weapons. The strategica most important naval base is Gadzhievo, home port to the fleet of six Delta-IV class ballistic missiles submarines. This is also the base for «Yury Dolgorukiy» - the first Borei-class submarine. Within some few years, the Russian navy will have eight Borei-class submarines in service divided between the Northern Fleet and the Pacific Fleet. Each sub carries 16 Bulava-missiles, a ballistic missile Russia says has a guidance system designed to avoid any antimissile systems.